Nathan Pretty will make his first start of the 2017 V8 Ute Racing Series at Bathurst, as part of the biggest field of the year. A total of 22 entries have been lodged for the fourth round of the season, with former Supercars enduro regular Pretty among the additions from the last event at Queensland Raceway. Pretty made 14 Bathurst 1000 starts between 1998 and 2011, scoring a best result of fourth in 2002 alongside Rick Kelly. 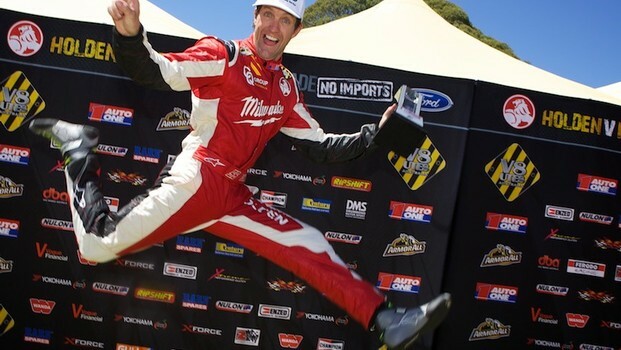 He will return to Utes in a Murphy Motorsport-run Holden. On his way to second in the 2016 standings, Pretty finished second for the round at Bathurst last year, winning the final race. “I haven’t raced my Ute since Homebush last year, and it hasn’t turned a wheel since,” Pretty said. Ford racer Jeremy Gray will also return, while Layton Barker (Holden), Aaron Cameron (Ford), Alan Hughes (Ford) and Kyle Austin are making their first appearances of 2017. Cameron will race the Peters Motorsport Ute regularly driven by Mason Barbera, who vacates his seat to concentrate on Dunlop Super2 commitments with Garry Rogers Motorsport. It adds to the wide array of categories Cameron has raced in this year, including the Toyota 86 Series, Australian GT Trophy, Bathurst 6 Hour and Australian Formula Ford Series. He also contests the Australian Karting Championship, driving for the James Courtney-owned JC Karts operation. “Brett Peters gave me the opportunity to have a drive this weekend and it was a good opportunity to accumulate some laps at Bathurst,” Cameron said. Kim Jane leads the standings heading into to the round, six points ahead of defending series winner Ryal Harris.